Skiing is one of the ancient sports known to man. It is described as a type of activity where an individual stand on two separate thin and long boards to glide along the terrain. It is used for transportation, recreation, and competitive sports. No matter how widely-known and old this sport is, there is always hazards and risks accompanying skiing. And this includes hazards for our eyes. Cross-country skiing is a type of skiing where skiers glide on flat rather than a downhill terrain. To move, skiers use poles to propel them forward or pivot in place to turn. Ordinary skiing glasses could be used for this type of skiing. This type of skiing refers to those who prefer to glide downward a sloped terrain. Gravity doubles the velocity of the skier, so this type of skiing poses more hazard than cross-country skiing. More protective glasses should be worn. Backcountry skiing is very similar to downhill skiing, only it is more dangerous as it prefers more challenging setting. Ungroomed trails that have not been patrolled or marked are the common areas for these daredevils. Goggles that are ready for impact and are durable should be considered for this type of skiing. This is a type of competitive sports where the athletes feature stunning stunts and body movements for the audience and a panel of judges. Motion and 360° jumps are expected for this sport. Snug fit, comfortability, flexibility, and light weight are the features that the athlete should look for. Usually, skiing is done in snowy slopes but skiing as a sport expanded and could now be done in dry and sandy slopes. Since the character of the setting is very different from ordinary skiing, the glasses should adapt too. Sandy slopes could create a lot of dust when skiers glide fast. It is important that dust particles will not touch the surface of the eyes nor block the user’s view. Since skiing is mostly done in snowy slopes, it is expected that the weather is cold and almost freezing. 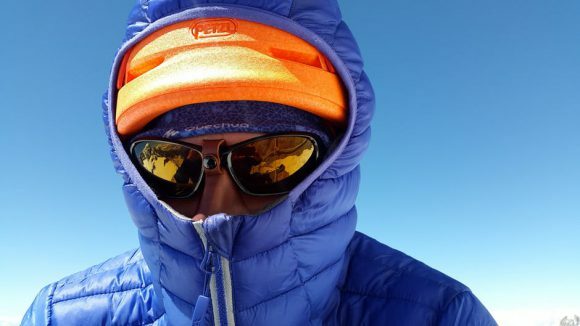 The materials used for the frame and the lenses of these glasses should withstand cold weather conditions. In the language of materials, metals generally are the most reactive in temperature. The atoms that are arranged in an orderly manner for metals contract and expand willingly to various temperature differences. Ceramics are brittle and are not recommended for sports that is prone to impact and crash. The best materials could be polymers and its derivatives because they have a high tolerance for temperature changes as well as flexible and durable to absorb shock or impact. Because the weather is cold, it is also expected that fogging or hazing could occur. Hydrophobic coating could be applied on the surface of the lenses. This coating is made of non-polar substances that repel polar substances like water. Vapors of water are abundant in snowy slopes and cold weather. Condensation of water on the surface of the lenses is less likely to occur since the coating shoos these vapors away. Another characteristic of snowy settings are the prominent glares, and intensification of light as reflected by white slopes. Tints could be sprayed on the surface of the lenses. Certain wavelengths of light bounce off the surface of tinted lenses giving off the colors a human eye could perceive. These wavelengths are not allowed to pass through the medium. 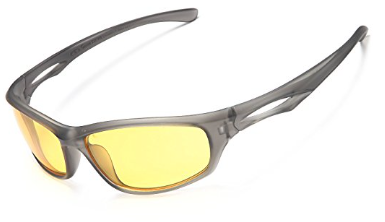 Polarized lenses only allow light of a specific orientation to pass through. These characteristics lessen the intensity of light entering the eyes. Sandy slopes, on the other hand, are dusty environments. There are dust-resistant features provided by some lenses. This property is attained by compacting the material tightly on the microscopic level. Nicks, cracks, and imperfections would be diminished. Dust particles would then have no reason to stick to the imperfections and for the macroscopic view, it looks like the lenses resist dust. The shape of the glasses could be wraparound or goggles – a shape that provides a snug fit on the user’s head and prevents stray light from entering the eyes. Wraparounds are nice to have since it provides a panoramic view of the surroundings. Rubber should line the lens for a snug fit. Goggles are used for tight fitting but is restricted in sight versus the wraparound. A band from one temple to the other is necessary to keep the glasses in place. Adjustable nose pads are unnecessary. The best material for skiing glasses are polycarbonates (PC) and NXT made from Trivex. PCs can be both used for lenses and frames. These lenses do not actually have the best optical quality but is very good for impact. NXT is a much better shock absorber and has a better optical clarity. NXT has an optical transparency of NBS #45 versus NBS #28 of PC. Anyhow, always look for the United States Food and Drug Administration (US FDA) accreditation or a Conformité Européene (CE) marking. Snow skiing glasses should have polarization, anti-ultraviolet (UV) property, anti-fog property, and tints. The most useful tint for these slopes are brown, amber, or rose. These tints provide the best contrast against white backgrounds. Browns are most useful for sunny conditions while ambers and roses are for low-light conditions. Dry slope skiing should have anti-dust property. Additional protection for the eyes could lessen the risk of having eye injuries and ailments. Example, UV protection could reduce the chances of having eye cancer, macular degeneration, photokeratitis, various forms of cataracts, and blindness. The usage of appropriate glasses on skiing will optimize the experience for the user. 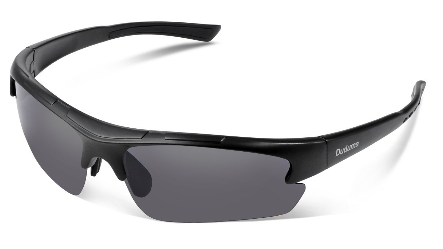 The lenses of Duco men’s sports polarized sunglasses are designed with considerable dimensions that measures: 40mm (1.57) inches for the lens height, lens width of 64mm (2.52 inches), and a nose bridge of 16mm (0.47 inches). These sunglasses have quality frames designed with a unisex look. Moreover, the makers give the chance for the user to choose their preferable frame color. People prefer durability, so this eyewear is designed with a wide design to prevent breakage even if they fall. The frame is made of flexible TR90 nylon material which is effective for outdoor sports activities. The frame on the other hand, comes in different color to give the user the mandate of choosing amongst them. These lenses are capable of withstanding the slight force making them durable and resistance to breakage. The lenses are wide and allow a huge span of area for vision. Each lens covers an area of 64 mm x 40 mm. The lightweight feature makes it ideal for all sportsmen to avoid slipping off while undergoing their activities. The frame is fashionable in its own way. The design is eye-catching yet it is built in an ergonomic design which aims to put away unnecessary stress from the musco-skeletal region of the face. Aside from which, the aluminum-magnesium alloy used as a material for the frame poses an advantage for the glasses to have a weight of only 20 grams. This weight is bearable for every user. Fortunately, ATTCL wrapped the areas most prone to corrosion with a more resistant coating. 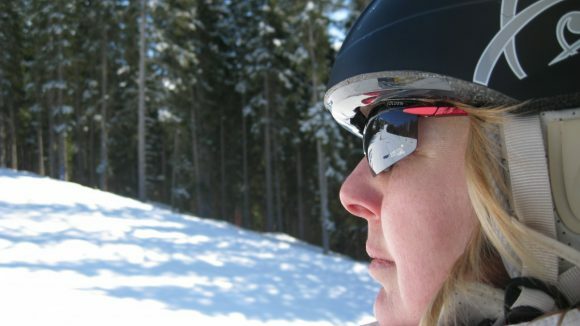 Glasses for skiing should endure cold weather, has a snug fit on the user’s head, and should only allow minimal light to pass through the lenses. Wearing these glasses while skiing further protects the user from various hazards and provides the best ski experience for the user. I hope that you find this buyer’s guide helpful in terms of providing information about skiing sunglasses. If ever you have more questions or concerns about these types of sunglasses, feel free to comment it below and I would be glad to help you. 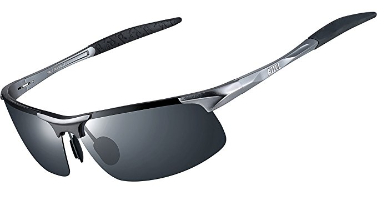 You have provided some great information on these skiing sun glasses. What I really appreciate though is you have provided information on sunglasses that anyone can afford to buy. I can’t tell you how many times I see some great sunglasses and then realize that I need to take a loan out to get them. I see that you have given a breakdown on each of the sunglasses. Do you have a ranking anywhere that shows what sunglasses may be better? 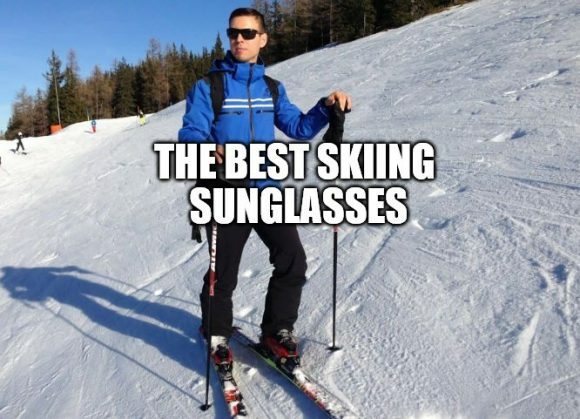 Actually, all of these sunglasses can help you while skiing. So it just depends on your own personal preference on what you will choose.